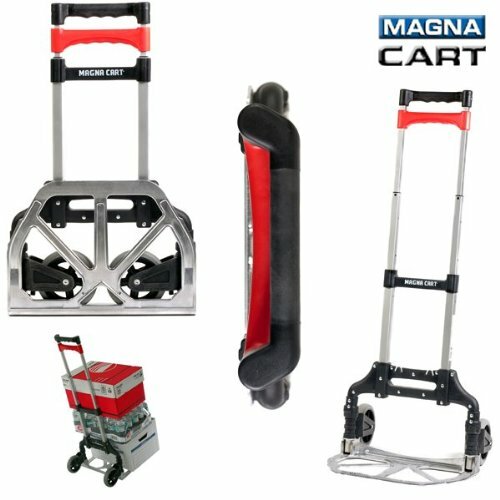 Magna Cart Personal Hand Truck 这个比较适合家用，比上面的那个要小一点， 承重一样 Hauls up to 150 pounds at once; handle extends to 39 inches tall. Milwaukee Hand Truck 800 lb. 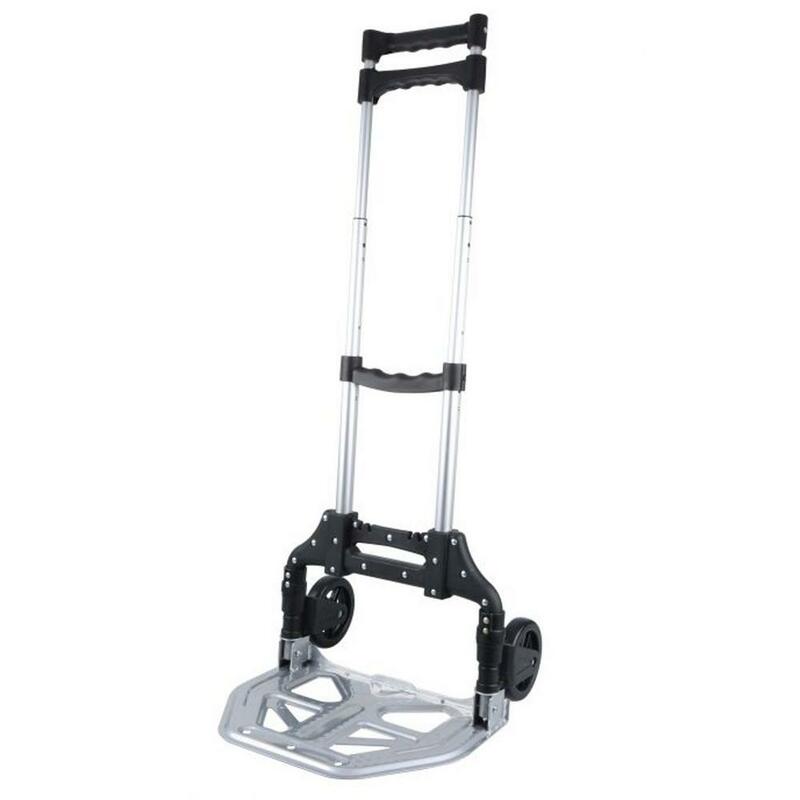 Capacity 2-Way Convertible Hand Truck 这种是可以横竖两用的手拉车，能推能拉， 现在降价只要 $49.96 (reg. $79.99!). Plus, get free in-store pick up. Sears has Milwaukee 2-Way Convertible Hand Truck (800-lb Capacity) on sale for $49.96. Select free store pickup to save on shipping. Walmart 现在 this highly rated Cosco Shifter Multi-Position Folding Hand Truck and Cart, the red color is on sale for just $47.73. Get free in-store pickup if available near you. 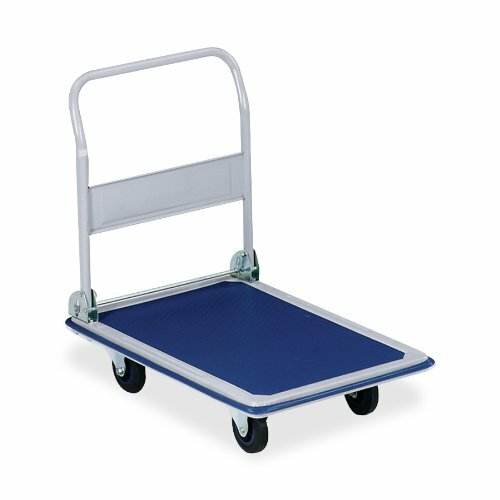 This cart features multi-position options for use as a 2-wheel upright hand truck or a 4-wheel cart. It also folds flat for storage! 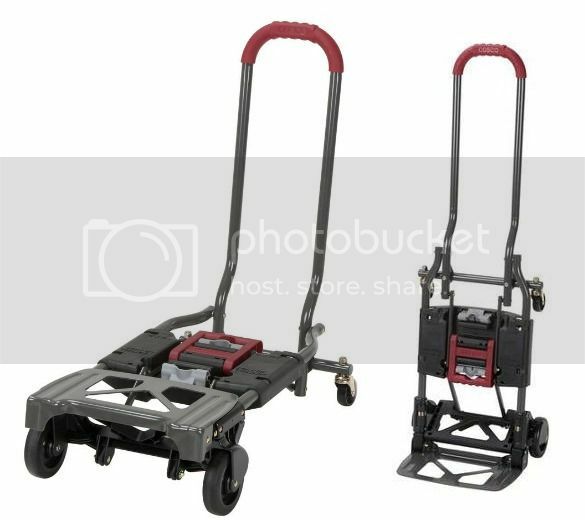 Prime Members only, Amazon.com now you can buy this highly rated Harper Trucks 400lb Nylon Dolly and Hand Truck for only $35.99 shipped (regularly $86.60). This hand truck easily converts from 2 wheel dolly into 4 wheel cart and it has a 300-pound vertical capacity and 400-pound platform capacity! The 8-inch wheels have solid rubber tread and the built-in stair glides for easy moving up or down stairs and curbs. Amazon.com where they are offering this Mac Sports Collapsible Outdoor Utility Wagon for only $52.74 shipped (regularly $78)! 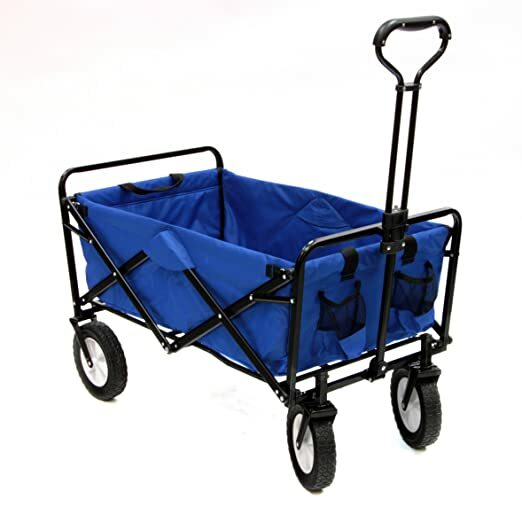 This wagon folds into a compact 30x20x8 inch storage bag by easily pulling a handle in the floor and will carry up to 150 pounds! Walmart.com now you can get this Ozark Trail Heavy Duty Fold-A-Cart in blue for only $36 shipped (regularly $116.25)! 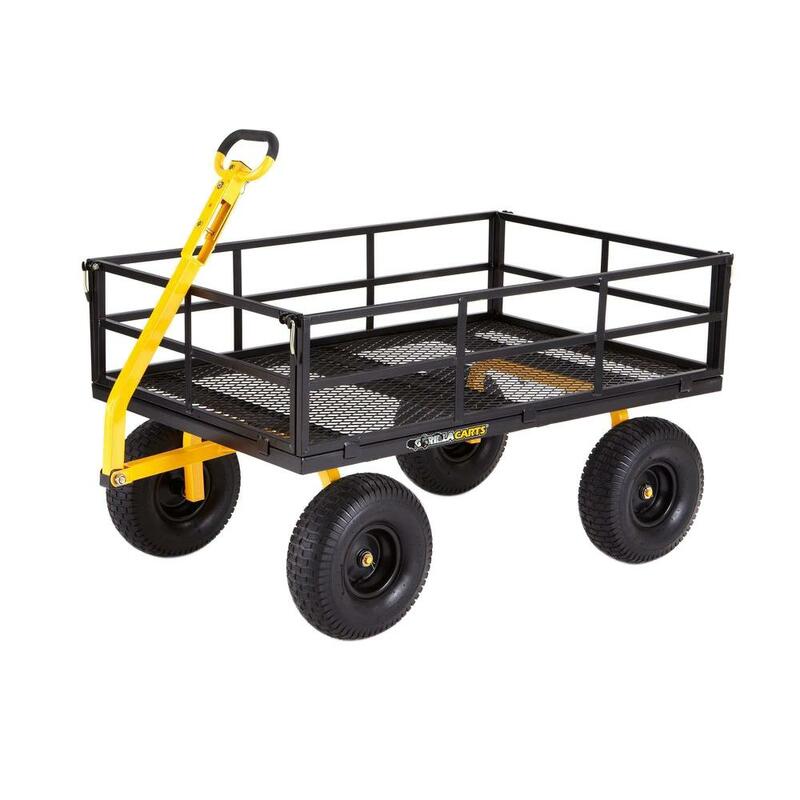 This is a watertight cart that can carry up to 400 lbs over any terrain. It is 50 inches long, 25 inches wide and 27 inches tall. Today, February 20th only, on HomeDepot.com now you can save up to 40% off select Yard Carts and Storage Items. Even better, all of the participating items ship for free! Over at HomeDepot.com you can now buy this Olympia Pack-n-Roll Folding Hand Truck for only $16.99 (regularly $31.23)! You can choose free store pick up. This hand truck folds down to just 2-1/2 inches thick so it’s easy to store in your closet, garage, or your car. The handle telescopes up to nearly 40″, which makes moving heavy objects effortless! 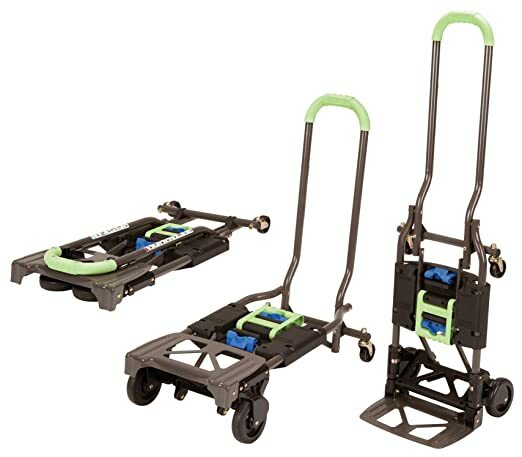 On Amazon.com you can now buy this highly rated Cosco Shifter Heavy Duty Folding Hand Truck and Dolly in green for only $45.93 shipped (regularly $79.99)! 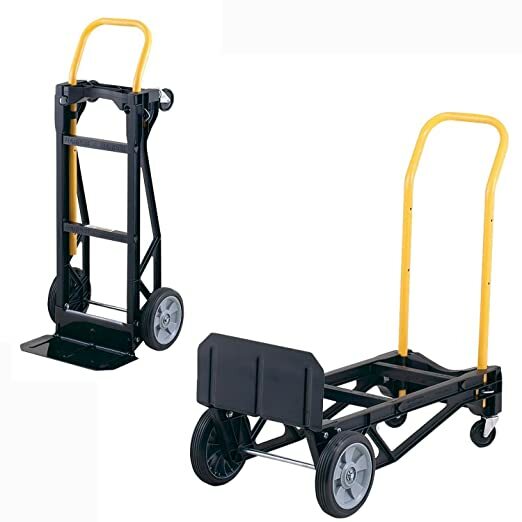 This cart easily converts to either a dolly or hand truck. It holds up to 300 pounds, easily maneuvers and folds up flat to fit in a small space.